Let me introduce you to a tool I used to change my life. I talk a lot about our Blueprint – our Source Soul Contract and our Soul Contracts. 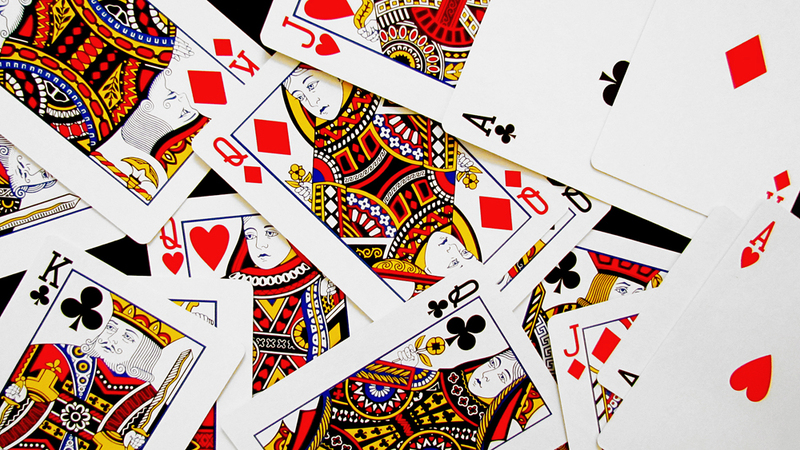 Before I continue talking about our soul’s blueprint, I want to let you in on a secret….the deck of playing cards we all love – you know, the box in the game or junk drawer that provides hours of entertainment in the form of Solitaire, Poker, or Go Fish? Yep, that deck of cards. The cards are actually a mini book of wisdom. The deck was created as a tool that aids each of us in understanding and living our Soul’s Blueprint. Using the cards is a life-long tool that is unique to you, your path and your spiritual development. It can be a guide in your relationships, business/finance decisions, creativity and health. YOU have a Birth card! This system is what I use when I work with clients in my Courses and Programs. I also do Readings that cover specific topics and areas of our spiritual development. I love when I can paint a picture of a client so they can see a bigger picture of themselves. Want to learn more about YOU and this system? 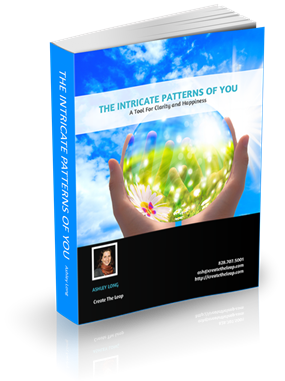 Get started by grabbing my free Ebook– The Intricate Patterns Of You – to discover your birth card and what it means. You will receive articles, tips and other goodies to help you benefit from working with the cards! The ebook will introduce you to the cards and let you see how the numbers, court cards and suits represent particular patterns that make up our Universe, life cycles and behaviors. You will discover your birth card and then you can read more about the suit and number or court of your card. Just by learning about the suit and number (or court) of your birth card, you can get a glimpse into the authentic you. Here is a video of a PechaKucha presentation I did about Cardology. As we move into a new era, we are connecting to and utilizing more of who we are as multidimensional beings. We have access to more knowledge, skills and insights than we are aware of currently. Working with this once secret system gives you access to these greater parts of you. But that is just the tip of the iceberg! There is so much more and the more you uncover, the more you understand and can utilize all that is going on in your life to most benefit you. The information you glean from your cards is one of the many complex layers of you. I just love how astrology, numerology, the cards and other divination tools are there for us to use – so we can stop walking through life blindly, wondering why we do what we do and trying to uncover our soul purpose. It’s never that one is better than another or that only one is accurate. They all show us our soul stats and are a guide to use. I love tapping into all of them and seeing what emerges and how the puzzle pieces start forming this unique picture…of YOU! Cardology is based on an ancient system that acts much like astrology – it is a calendar and a forecasting system. Each card has a spread of cards that speaks to it’s behaviors, gifts, challenges and soul blueprint. It is not used like Tarot (it can be used as a divination tool). The cards you get each year on your birthday is not random. This System Gives You a Custom Roadmap to Use. How you can best walk your path, so that your life is rewarding, fulfilling and JOYous! It enables you to grow and add to the growth of All-That-Is. You Have a Birth Card! Every day of the year is associated with a specific playing card. Some cards govern only one day, while others are associated with as many as twelve. Click here to go to the Birth Card Chart to look up your Birth card. Along with your birth card (also called your Sun card) is a spread of cards, called your Life Spread. You also have a Ruling card based on your astrological sign. Both cards and their spread speak to who you are. Those spreads change each year on your birthday. Opportunities for enhanced relationships, creativity and your business. The interpretation of your birth card spread, along with your astrology and numerology stats (I call all of this your ‘soul stats’) is in my reading called The Essence of YOU reading. The cards move positions each year, giving you a different spread for each year of your life, which allows for a yearly forecast in much the same way an Astrologer can see your whole year. I call this the Empowered Yearly Forecast Reading. The information in this reading is very powerful. To see the forecast for your year in order to gain clarity, help with decisions or plan your business. To work with and utilize the specific energetic patterns that your year will hold, so you can make the most of it and reach your goals. To understand how you can change some specific aspect of your life by using what is within you and most natural for you. Within every reading, I help you create a custom roadmap, with practical action steps and an understanding of the inner work needed in order to create the reality you desire. Our Yearly Forecasts are so in-depth that we can do some pretty amazing inner and outer work just by working intimately with them through the entire year. They are the perfect tool for changing or transforming some aspect of your life that is either blocking you or keeping you from feeling that you can reach your goals. I have two coaching packages specifically for this purpose. Depending on what you are seeking, we can have 4 sessions together (spread throughout the year, or one a month) to help you change something, or we can go really deep and have 10 sessions together. In both packages, we work with your forecast, goals and desires – creating a container of success for you! Cartomancy is the art of “reading” regular playing cards in the same way one would “read” the Tarot, Runes or other similar divination tools. The deck originated in Atlantis, derived from ages of celestial observations and the patterns of mankind. The deck was called the Test Book, or The Little Book and is the oldest book. Some think Hindustan was their birthplace. Some think they were invented in China during the reign of Senuho in 1120 A.D. Playing cards were known in Germany as early as 1300 and Spain as early as 1332 and France in 1341. Both Astrology and Numerology is utilized in the interpretation of the cards. And, unlike Astrology, one doesn’t need to know where the person was born or at what time. You don’t even need to know what year–only the day of birth. The original cards were thought to be used to determine planetary movements and cycles. There are twelve Court cards (Jack’s, Queen’s and King’s) representing the twelve months of the year. There are four suits (hearts, clubs, spades, diamonds) representing the four seasons. The 13 cards in each suit represent the Sun and each sign of the Zodiac. Each suit contains thirteen cards (Ace through King) which symbolizes the thirteen weeks per season and the thirteen lunar cycles per year. There are 52 cards and 52 weeks. When you add the spot value of all the cards, it equals 364. Add the Joker and you have 365. The astronomical year is 52 weeks plus one and one-fourth days. The Joker represents the four quarters and the Sun (all the four suits plus himself) and is equal to five-fourths. So, when adding in the Joker (1 ¼), we get the 365 ¼ days of the year. If you like the symbolism in mathematics, the cards are a fascinating study! There is so much more than I can put here in this very brief introduction. Each of us begins in the planet Mercury on our birthday. Each period lasts 52 days. 7 planets times 52 days equals 364 days. Add in the joker and you have the 365 days of the year. **A side note about the Joker. The only birthday that is the Joker is December 31st. It is considered the Alpha and Omega card and has no birth card spread. People with this birthday are like either the King of Spades, or the Ace of Hearts and they would use the yearly spreads of one of those cards. We begin in Mercury and the cards we have positioned there are influenced by the energy of Mercury for 52 days, at which point we move into Venus for 52 days. So on and so forth. Subtract 22 from 31 = 9. Subtract that number from 52. 52 – 9 = 43. So, my period goes 12 days into Sept. Therefore on Sept 12th, I then move into Venus. To calculate the next month, start with the date you ended on (for me, day 12) and repeat the process. This is how you can calculate the dates of all seven of your planetary periods. You will always begin in Mercury and the period right before your birthday will always be in Neptune. Along with each planetary Period, you also have 5 main cards that point to the main types of experiences, people and events you will encounter in that year. This lends such depth and information to what each year of your life has influencing it. Knowing this information can take the questioning and struggle out of your life! You can see what is going on and make decisions with your heart and intuition. You can appreciate and fully revel in the blessings and know that the challenges are opportunities for your growth and betterment! There is no need to be knocked down or side-tracked by major changes or events that would otherwise feel like a loss or horrible ending.